Bitcoin is the major digital currency. Unlike other money such as Dollars or Euros, there is no central bank or government that can steal the value by currency devaluation through inflation, taxes or even confiscation of your account with a bank. Other hand, Bitcoin like gold pieces that you hide for a rainy day in the pillow in your bedroom. If you do not locking the door, at some point will a burglar steal your wealth. Bitcoins are themselves through strict cryptography as safe as diamonds when you order so as to deal with precious stones. But with it you can still buy and sell goods or services so easily as with cash. Even in the internet worldwide and often faster and cheaper than with other currencies or credit cards. Just using your computer or smartphone. And if you want as anonym like with cash. For a quick start just follow the three steps here. Further provides an explanation for each point can be found below on this page. Of course you can also do just point 2 and pay directly to the shop. However, you then refrain largely on anonymity, can any amount of purchased amounts are not cash out and no Bitcoins on the affiliate program of our affiliated stores gifted. There are two ways for your own Bitcoin wallet. disadvantage: You must own, with regular updates and backups against the loss of data (Bitcoins are data, data is money!) including the unauthorized access protect to your hardware by unsuspecting roommate or even thieves. Bitcoin-Qt The original Bitcoin client with a graphical user interface is also available for Windows and Mac. After installation, it may take a long time until the initial synchronization with the Bitcoin network is carried out, since only all blocks must be downloaded from currently about 8 GB and processed. Multibit is installed very quickly, but requires Java. Thus it is also irrespectively of the operating system. However automatically installed with the Java browser plug-in is often long unpatched vulnerabilities become conspicuous. So if you first have to install Java then do not forget to disable the plugin. Or better yet, install Bitcoin Qt. Android Bitcoin Wallet The Bitcoin wallet for traveling. Very convenient to shopping on the go. Depending on your smartphone and internet connection it will needs mainly for initiating a quite long time. advantage: can be used immediately, regardless of the concerns with its own hardware. In addition, transactions are usually faster executes them, because these servers with many permanent others are connected in the P2P network. disadvantage: It is almost like a bank, which you entrust Bitcoins. In case of loss, however, there is no deposit insurance as prescribed for off-line banks. On the other side are Online wallets no banks that are allowed to play with the money of the customers. For entry online wallets are definitely the best solution. However, since even at reputable vendors have problems occurred, we want to make any recommendations. But you can use our service for a quick start. This leads to our 3UU wallet registration. 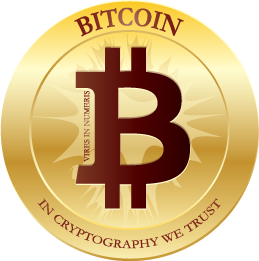 Bitcoins are offered by various exchange offices. Which offers the best conditions for you depends on many factors. So most do not accept credit cards, because this compared to the Bitcoin system are simply too unsafe payment method on the Internet. On the other hand, fast payments via SEPA transfers are possible only in Europe, while in Germany there are no big chain like Wallmart, offering Bitcoin suitable Prepayd Cards... The options listed below are therefore without obligation. You only based on positive experiences that were reported to us. If you do or think that another exchange office should be mentioned here other experiences, write please email us. bitstamp.net also accepts the widespread pre-pay solutions of large retail chains. If do you only have a credit card, it is a chance to go through the so-called LindenDollar. At VirWoX you can easily open an account. You do not need really use the online game 2ndLife. On this account you can deposit money using your credit card. However, offer limited to the current 50 Euro a day. Moreover, it can take up to three days with the first purchase until your card is accepted. Once the credit has been enabled, you can first convert it into LindenDollar and then into Bitcoin. Again, there is a limit of current 0.5BTC which, depending on the exchange rate also two to three times a daily limits equivalent. This Bitcoins you can then use for shopping. Another possibility is the Russian provider Liqpay. If you own a cell phone, you can also set up a "mobile account" which can be charged via credit card. Some excanges accept this too. However, it took our test just two days until the Liqpay payment was credited and only a few Exchange offices accept this option for payments. Note: If you want to pay really anonymous, you should never be made directly by one of the above online currency exchanges from a BTC transfer. Send this first to your own (online) wallet. Ideally you use for payment any further then your own address if your wallet has this option. You do have to actually know only the Bitcoin address to which you want to send an amount. For example, my 13uzw8ouVCgfK7uCm832P7ms15rRyGwe8g if you donate a small amount to me for this description.